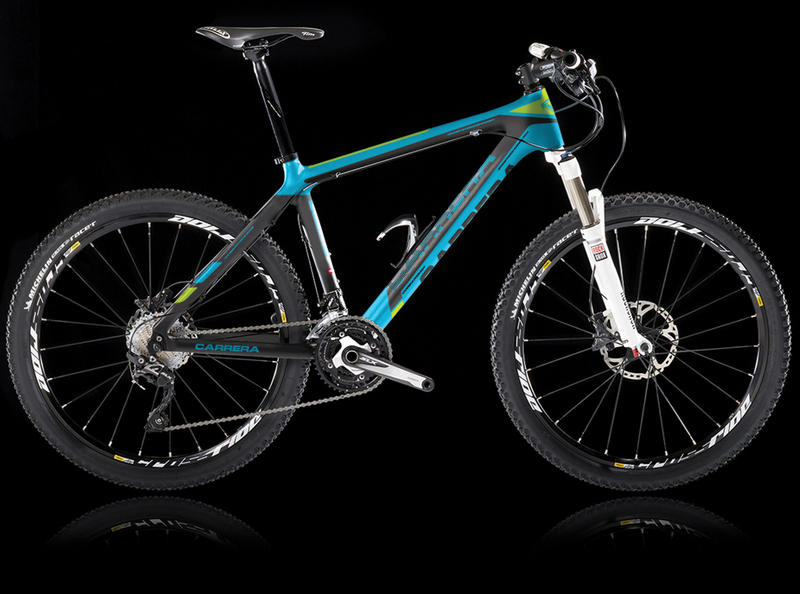 The CLIMB 26 was the first carbon fiber frame for the MTB category worthy of wearing the Carrera badge. Carrera’s CLIMB 26 hardtail ‘Solid Carbon’ monocoque fabrication process provides a frame with the essential structural rigidity, balanced by the unique design of the seat and chain stays formulated to absorb and counter the vibrations of the trail’s surface. The compact frame of the CLIMB 26 with its sloping lines is ideal for shorter cyclists who prefer a decidedly responsive, agile and lightweight mountain bike.